This cabinet is all about black. 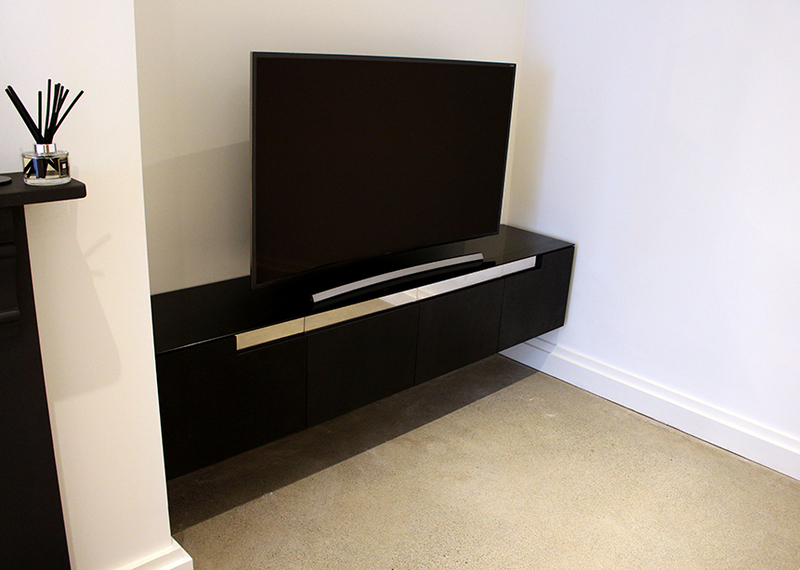 We have blackened oak veneer throughout, except for white leather bases in the drawers. 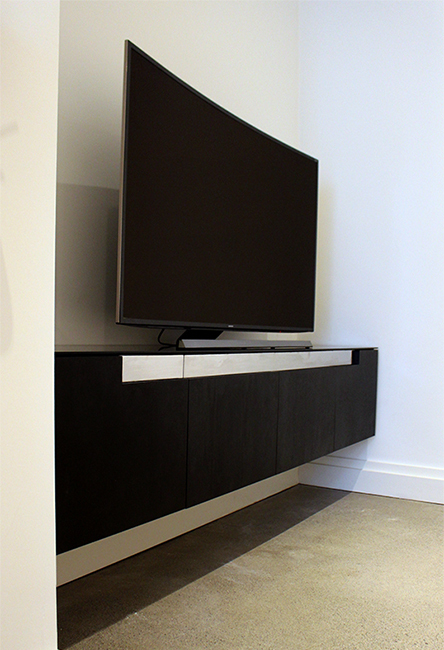 We kept the cabinet looking slim by using a toughened glass top. 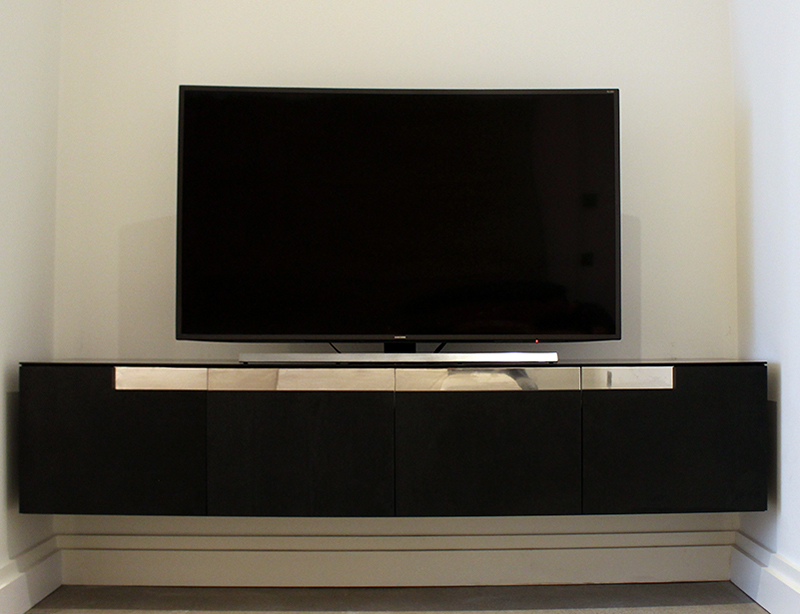 The cabinet has 2 drawers and 2 pull down doors in the middle to access the usual television accessories. The cabinet is mounted to the wall and sockets are access inside the cabinet. Dimensions: 406mm high, 440mm deep and 2000mm wide.